Jonathan Leavy (third from right), an accomplished bowl turner, presented a workshop on turning segmented bowls. Several members made their first segmented bowl. 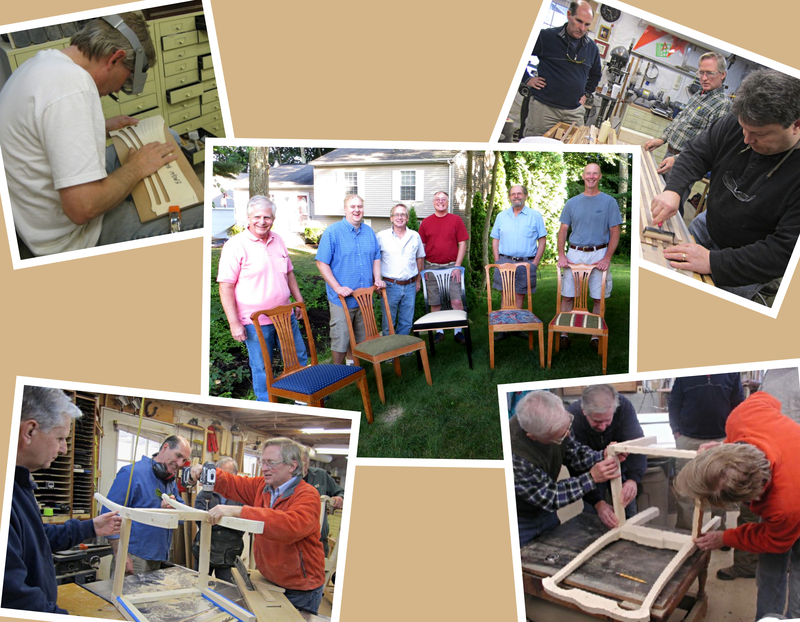 To tie in with our 2012 Saturday meeting theme of chair making, our then past president and North Bennett Street School graduate, Fritz Smith, led a chair making project. 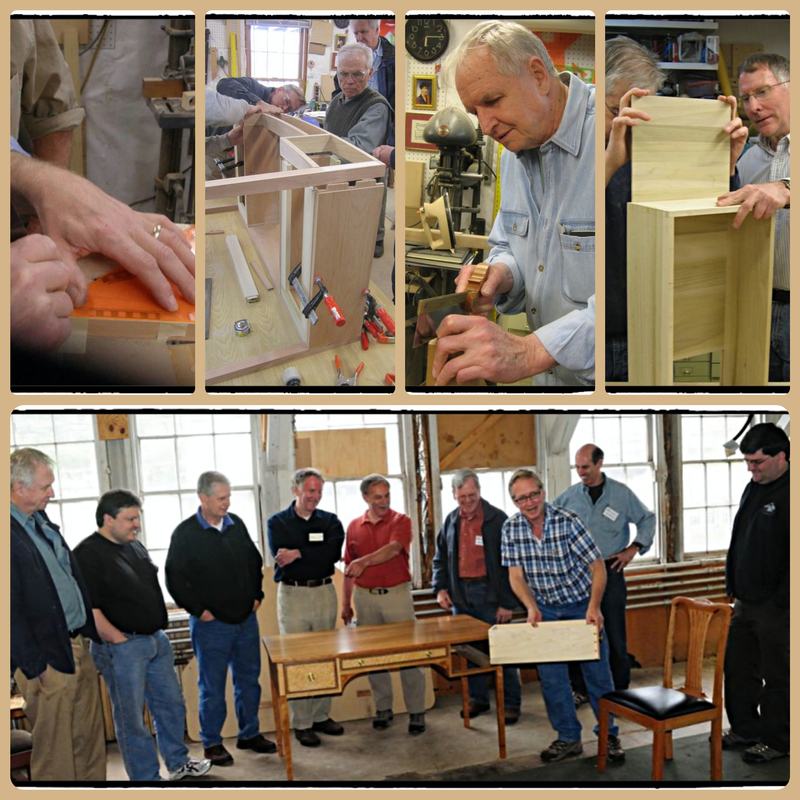 A number of members, some of whom had never built a chair, ended up with a quality project and an expanded set of skills. 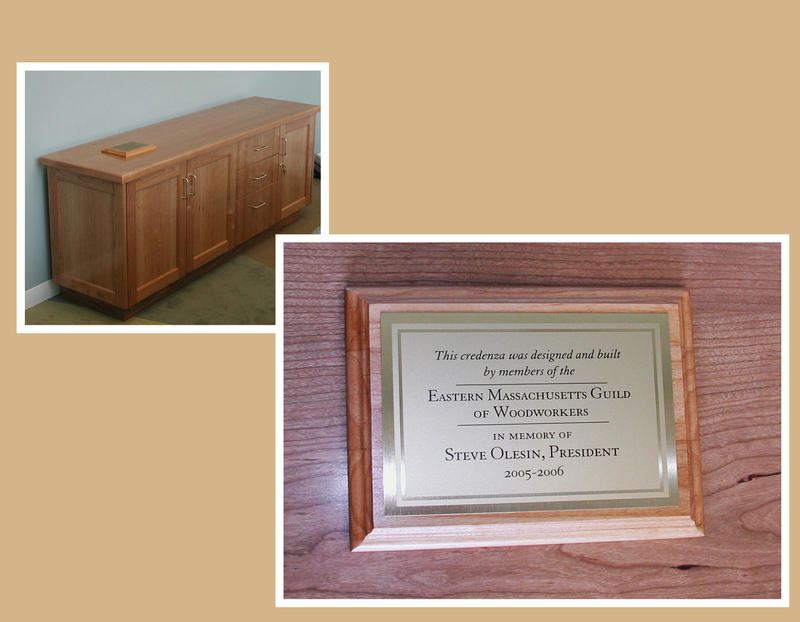 In 2010/2011 the guild decided to undertake a project to build an exemplary piece of furniture which would serve as a showpiece for the guild's mission. After displaying the piece at various suitable venues the writing desk and chair was sold with the proceeds going to a scholarship fund. It was decided that a writing table and associated chair would meet thses requirements. The design and execution of this project was headed by Fritz Smith. We are very grateful for his woodworking and leadership skills which were quite evident during this excellent enterprise. Many other members participated in the enterprise. 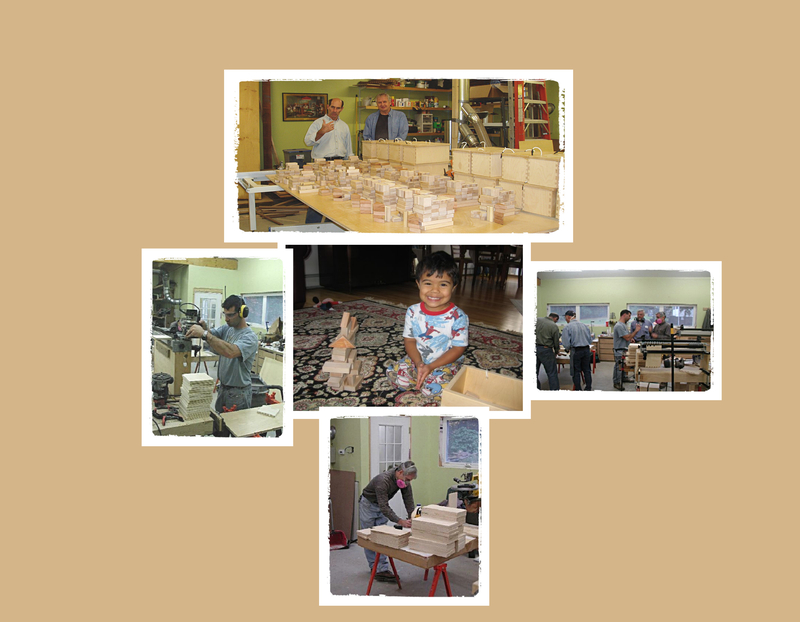 As a community service project for the Clinton Early Childhood Resource Center a group led by Jack Murphy built 20 boxed sets of building blocks. 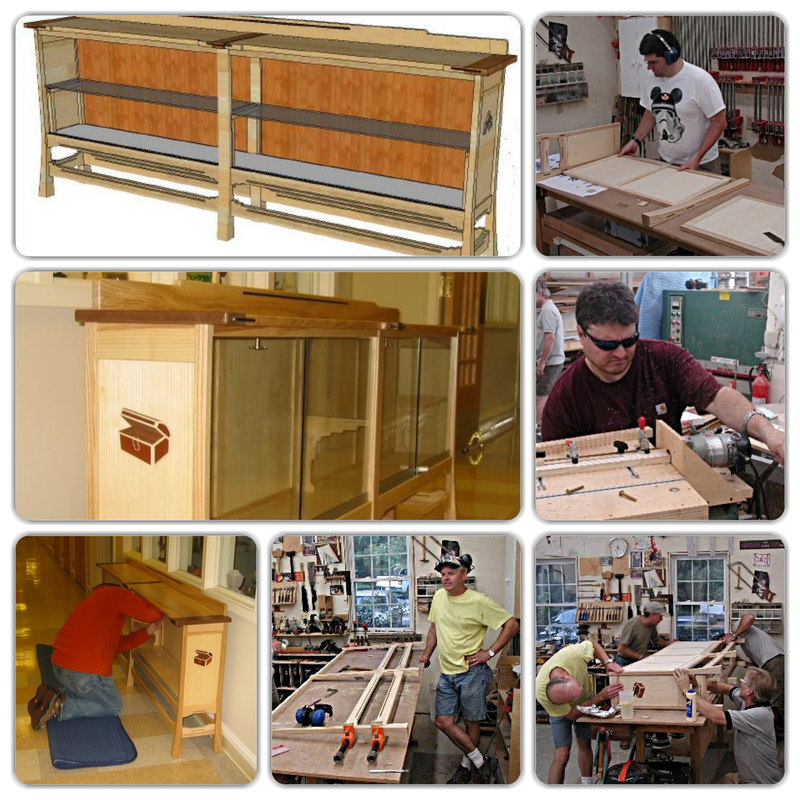 The project was completed in a single day at Jack's shop and delivered to a classroom of smiling kids. As a community service for the Milford senior center Charlie D’antonio organized and led a project to build a display case. Members contributed lumber, Sketch-up design expertise, shop space and labor to complete this project. The Guild has designed, fabricated, and delivered a credenza for the conference room at the Molly Bish Institute at Mount Wachusett Community College in Gardner. It was dedicated to the memory of former president Steve Olesin who died tragically in an automobile accident.